Are You an Animation Producer? 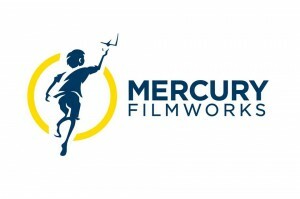 Mercury Filmworks is looking for an experienced in-studio 2D or 3D animation producer to work in our Ottawa studio and oversee multiple series. This position is an excellent opportunity to live in Canada’s beautiful capital city and build a career at one of the most respected animation studios in the industry. We are looking for great people that value quality, innovation and a company with an uncompromising vision for the future of its artists and employees. Job Description: The successful candidate will have an exceptional track record with at least five years of hands on experience working with and managing teams of artists in a studio environment. This is a senior level role with a wide and all-inclusive scope of responsibilities that run from budgets, cost reporting, and inspiring the artists, to working with senior management on ways to innovate and make the studio environment the very best it can be. This position has high internal and external visibility working with senior management as well as major networks and key partners. This is position is a 2 year term contract position that we hope will lead to an offer of permanent employment. The salary is negotiable. All offers of employment to individuals living outside the Ottawa area will include a moving allowance. This position includes paid benefits and access to the Mercury Filmworks group RRSP and matching contribution plan. Experienced animation producers should already know the specific responsibilities of the position. Listed below are the critical characteristics or skills we are looking for in the successful candidate. Willingness to tackle any task no matter how small or how large. Ability to effectively delegate. Know when to. Know when not to. Willingness to lead and teach by example. Attention to detail in all matters. Creative. Financial. Business. Solution oriented. Demonstrated by having an opinion or idea for how to solve a problem. Calm and practical in high stress situations. This entry was posted on Thursday, May 31st, 2018 at 12:01 pm	and is filed under Jobs. You can follow any responses to this entry through the RSS 2.0 feed.